Charlotte's Web: A full length play based on the beloved children’s classic with all your favorite characters including Wilbur, Charlotte, Fern, Templeton, and more. Be a part of this story in which true friendship triumphs! CASTING: Students in grades K-6 will be cast. AUDITION REQUIREMENTS: Because our age group for this show is K-6 we have decided to change the audition to a group setting. This will allow the director to speak with each child and see how they interact with the others in the group. 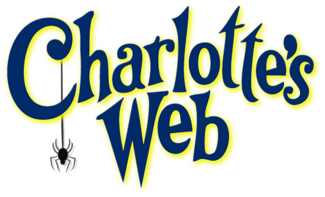 If a child is more experienced or wanting to audition for a speaking part please CLICK HERE and scroll down the page and download the CHARLOTTE'S WEB SIDES page to practice from. The Director will read with them when they come. REHEARSALS: Mondays 6:00-9:00pm starting April 1st and Saturdays from 9:00am - 12:00pm at the CMT building (101 S. Wyandotte Ave.). PERFORMANCES: May 10, 11, 12, 2019 at Children's Musical Theatre. TO AUDITION: download the audition form on the website and bring it to your audition appointment. ALL STUDENTS WHO AUDITION WILL BE CAST. DISCOUNTS: $155 Early Bird Tuition if paid in full by March 11th. SCHOLARSHIPS: Scholarships are available; complete scholarship application link at the bottom of the page HERE. The scholarship application deadline is March 11th.